"Alexandra Terrace - from Old Bailey to Shelly Street"
I can't find it on the 1901 map. Rednaxela Terrace (Alexander backwards) IS on the 1901 map. "Rednaxela Terrace - from Shelly Street to Peel Street above Caine Road. Not sure if they existed at the same time. Permalink Submitted by tngan on Thu, 2010-09-02 17:56. Literally speaking the slopes from Old Bailey Street westward stretching towards Kennedy Town are full of terraces. It's just not all of them had proper English and/or European names. The Alexandra & Rednaxela Terraces were most likely in an odd shape as we have the Elgin Street there. For those with Chinese names, there might be more than one building in a place called Terrace, like those five terraces up Sands Street. Oh well, I might have been pointing to some terraces of a later time frame. Permalink Submitted by 80sKid on Thu, 2010-09-02 20:20. Rednaxela Terrace is famous for having its street sign stolen. The name was supposed to be Alexander but somewhere along the line the name was transcribed backwards and its been Rednaxela ever since. Its also famous from Jose Rizal, the Philippine revolutionary, who lived there. Not sure about Alexandra Terrace but the 1879 directory does say it was A-li-shan-ta Kai in Cantonese. Permalink Submitted by annelisec on Thu, 2010-09-02 21:07. I've heard those stories too. That is why, when I found a description of the location of Alexandra Terrace in the 1879 Directory, I thought that perhaps it was not bad sinage, but rather a way prevent confusion with another Terrace. Next time I'm at the PRO, I'll check the Rates Books to see if it shows up, and what lot number. Taufer was listed as a "house owner" on the 1894 Jury list. Permalink Submitted by Adam on Thu, 2010-09-02 21:16. This was George Taufer, who appears in The Great Fire of Hong Kong as an important witness at the trial of Edward Fisher, the man accused of starting it. He and his brother Edward received awards and cash from Governor Hennessy for rescuing the abovementioned sailors. That was during the typhoon of 1874. He and his brother were in charge of the Hong Kong Fire Insurance Company volunteer brigade's steam fire engine, and were not with the 'Hong Kong Fire Department' as it says here. Permalink Submitted by annelisec on Thu, 2010-09-02 21:50. My mother [was] a native of Ireland and was married to my father in Belfast, Ireland. My father’s name is James Bracken and my mother’s maiden name was Elizabeth Jane MacBride. We were five brothers and sisters. I was born in Hong Kong at the Victoria Barracks on the 9th of August 1876. My father is a corporal and detachment schoolmaster of a detachment at Pembroke Camp. My mother died after giving birth to me. The kind and benevolent couple Mr. and Mrs. Taufer took very good care of me until I was seven years old. Unfortunately at that age was when my adopted mother died. A year after Mr. Taufer took to another wife, then my troubles commenced little by little. On the 13th July 1889 we took a trip to Japan on account of Mrs. Taufer’s illness. But Mrs. Taufer got worse and died. On the 12th November 1891 Mr. Taufer took to a third wife which (sic) was a torment to me. On the 12th December I left Mr. Taufer’s house and went to the Italian convent because I could not anymore attend to her troubles. I stayed in the convent two months when Mr. Taufer came begging me to go home because his wife was starving him. As I could not bear him complaining. I went back on the 3rd February 1892 to take care of his house. On the 14th September I had trouble again with Mrs. Taufer and hunted (?) her out of the house. In 1893 Mr. Taufer got very ill and had sore eyes, as he hired several doctors but none could do him any good. This was when I was eighteen years of age. Permalink Submitted by Adam on Thu, 2010-09-02 21:51. Permalink Submitted by David on Fri, 2010-09-03 15:10. We do need two separate places - an 1889 map (Plate 3-2, Mapping Hong Kong) shows the area bounded by Shelley / Hollywood / Old Bailey / Staunton. It is split in two by a road across the middle, roughly east-west. The south half, between the split & Staunton, shows a building marked 'Alexandra Terrace'. Permalink Submitted by Adam on Fri, 2010-09-03 15:14. David, I have the same building on an 1887 map too. As I recall, this space is now occupied by a Police Married Quarters. Have I marked Alexandra Terrace correctly? Permalink Submitted by annelisec on Fri, 2010-09-03 17:51. Permalink Submitted by Adam on Fri, 2010-09-03 18:27. Why the conundrum? Rednaxela backwards spells Alexander, not Alexandra. Plus the two terraces are quite far apart. I was always under the impression that the sign was misprinted/miswritten by Chinese signwriter who didn't speak English, and no one got around to correcting it. That's the old urban legend anyway. re: Have I marked Alexandra Terrace correctly? Permalink Submitted by David on Mon, 2010-09-06 21:58. I've tweaked the marker - the Terrace was on the south half of the block, not the north half. Suggest we also update Place's title to just be "Alexandra Terrace", to match the marker. Permalink Submitted by Herostratus on Tue, 2016-07-12 16:19. Permalink Submitted by Herostratus on Fri, 2019-01-11 02:09. Permalink Submitted by Herostratus on Fri, 2019-01-11 02:21. The Source for Peter Melbye was the HK Juror Lists. Many of them can be found here on Gwulo. You can also search the HK Government Online records here, the first record of an Emil Melbye appears in 1874 when he was employed as an assistant at John Burd &Co. He also became the Danish Consul in HK in 1887. The last mention of a Melbye is Alfred in 1923. I do not think you will find any mention of a Mrs Melbye in the juror lists as I believe women were not permitted to serve on juries in the period. 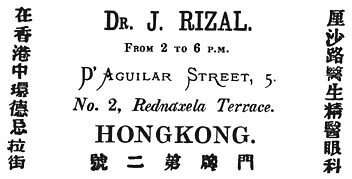 You can however search the ladies directories for Hong Kong here; there is a mention of a Mrs E H Melbye living at Magdalen Terrace, Magazine Gap in the 1891 version. Note that there are other Ladies directories apart from the ones listed no Gwulo, a Google search will bring many of them up.